With 2014 show fast approaching, we have put together a list of events and news for you and help you keep up to date with all things BHMFW! This year's show is presented by the lovely Frankie McCamley (BBC Radio 1), those of you who attended the event last year, Frankie was also our host in AW13 show. We know how much you all love networking and fashion, so we have added the 'Champagne Fashion Networking Session' to the mix! All fashionistas and fashion professionals are welcome, it will take place during shows from 8pm onwards on Friday and Saturday. You will have an opportunity to network in our fabulous champagne bar, swap business cards and talk about all things fashion! We have invited designers, press, media, bloggers, buyers, models and journalists to join us! Free for all VIP Ticket holders and Invitees. You know much much we love to treat you with FREE Luxury cosmetics and brands from around the world! This year is no different! 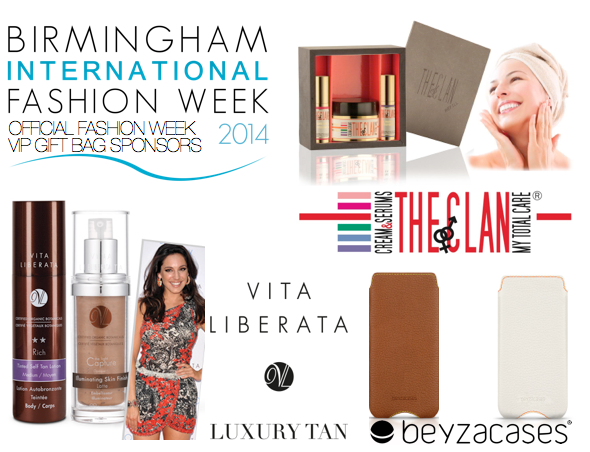 Free in all VIP Gift Bags, you will find Vita Liberata Luxury tan, Italian Luxury Skincare 'The Clan', handmade Luxury leather iphone/ipad case brand Beyzacases and much more! 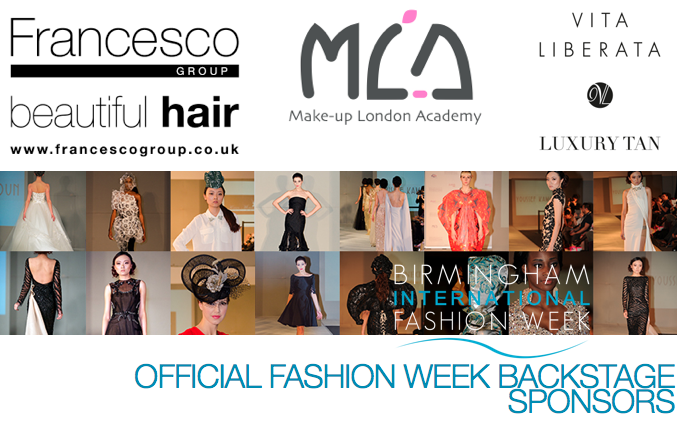 Not giving too much away, but this year we are giving away lots of beauty, skin and hair products from the likes of Redken and Argan Oil plus fabulous Hair treatment discounts from a national hair group Francesco's who are also our Official Backstage Hair Team, making sure our models look fabulous at all times! and if this is not enough, we have a Red Carpet Champagne reception for you on arrival! Don't miss this exclusive event right in the centre of Birmingham! Get your tickets at Seetickets.com today!